Patrick Kehoe taught English classes in Barcelona for two years between 1978 and 1980. The poems gathered here re-assemble that vibrant metropolis as a parallel city of the imagination. There are visits to other Spanish cities, a memory of a brief walk through Murcia some forty years ago, and more recent poems deriving from stays in Madrid, La Coruña and Bilbao. Kehoe’s short lyrics are redolent of hopeful motorways, of entries and exits, of crossings and re-crossings. They sing of the exhalations and exhaustions of the streets and of the vast cities of Spain. Ultimately, the Barcelona of the late seventies – an untramelled, bold- spirited place, that knew few tourists between October and May – continues to inform the work of the poet. Patrick Kehoe was born in 1956 in Enniscorthy, County Wexford where he still lives. His first poems were published by the late James Liddy in broadsheets published by Gorey Arts Centre and issues of The Gorey Detail. Early poems were also published in the Irish Press. In recent times, his work has been heard on RTÉ Radio 1’s Sunday Miscellany and RTÉ lyric fm, while poems have appeared in Even the Daybreak: 35 Years of Salmon Poetry, Cyphers, Crannóg, The Irish Times, RTÉ Culture, Poetry Ireland Review, The Stony Thursday Book, Enniscorthy Echo, Natural Bridge, The Scaldy Detail, The Level Crossing, The Deep Heart’s Core, Red Lamp Black Piano, and Dust Motes Dancing in the Sunbeams. Patrick Kehoe’s debut collection Its Words You Want appeared in July 2011, published by Salmon Poetry. The Cask of Moonlight was published by Dedalus Press in September 2014. 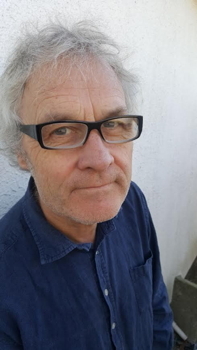 The poet composed the lyrics for the Sonny Condell/Patrick Kehoe album Seize the Day, released in 2017 (sonnycondell.com). He writes for RTÉ Entertainment and Culture.